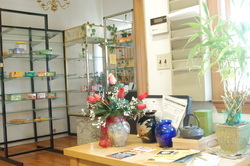 Gold Living Acupuncture and Herbal Healthcare, located in Waltham, MA has proudly helped hundreds of patients improve life quality since 1997. We have maintained an exceptionally strong commitment to serve our patients through holistic treatments such as acupuncture, herbal medicine, Qigong, Tai Chi, Tuina and many more. We believe that these traditional holistic approaches can help people by treating the underlying cause of the disease and promoting the body's own ability to heal. Many patients (e.g. of infertility, cancer, allergy and autism) have found their restored health at our clinic after other methods have failed. We believe our passion and expertise can help you achieve your optimal health. We encourage you to visit our clinic where providing holistic care is our purpose as well as our privilege. Gold Living, Inc. was founded in 1997 in Waltham, MA. Over the past decades, we have successfully treated many patients and help them enjoy their lives fully. Please check out our testimonials page to see what our customers have to say about our quality service. Our expertise includes treating infertility, cancer, pain, weight loss, allergies and many more. At our clinic, we offer Acupuncture, Herbal Therapy, Tuina, and Qi Gong treatments. Each therapy may be used individually or in combination. A free consultation will help determine the best treatment methodology for you. Our Clinic and Pharmacy are a short drive from neighboring towns such as Arlington, Belmont, Boston, Cambridge, Medford, Newton, Lexington, Lincoln, Watertown, Wayland, Wellesley, Weston, and Woburn. Tired of feeling sick? Want to feel 20 years younger? You have come to the right place! We offer a variety of ways to help you achieve your optimal Health. Check out our Taichi, Qigong Healthy Cooking Classes, Books and DVDs!